It’s not often that the culturati embrace a new art form and rarer still when that form bubbles up from the questionable ranks of commerce. But that is precisely what has happened to some books of photographs over the past decade or so. 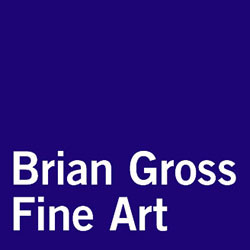 Largely below the radar of the mainstream press – and even much of the art press –these books, usually monographs, have been embraced by museum curators and collectors alike as an art form independent of the photographs that comprise them, a fact ratified by the serious attention they receive in museums and the market, where prices for noteworthy books have skyrocketed. 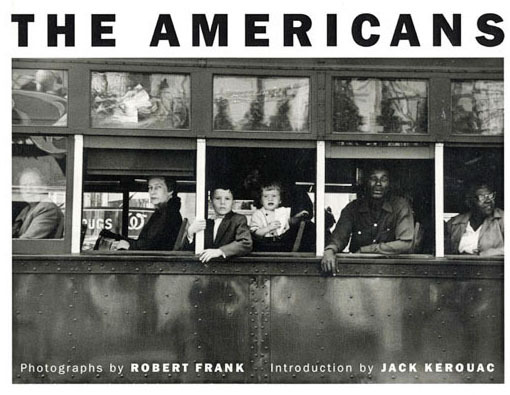 Robert Frank’s “The Americans,” the seminal, brilliant and uncomfortably downbeat exploration of 1950s America that the SFMOMA featured in a major retrospective in 2009, can fetch $10,000 at auction for a nice first edition in its dust jacket. In addition to exhibiting the original 83 prints Frank selected for the book from the 23,000 he took for the project, the show extensively explored the editing and sequencing of the images that undeniably created an art object born of but apart from the strong individual photographs. Nor is it alone. Countless photobooks (the shorthand that’s gaining currency) with good aesthetic arguments for being included in what is an unruly and endlessly debated canon have been similarly received. And the phenomenon is not limited to the venerable. Minnesota photographer Alec Soth’s first monograph, the 2004 Sleeping by the Mississippi, in which he literally followed the course of the river and photographed those who live along it, heralded the arrival of a fresh and inventive vision that was embraced as much for the selection and sequencing of the images in the book — as well as its production values — as any individual image. What merits the shift in perception? First, photography’s generative nature makes selection and sequencing more integral to it as an art than it is to other media, and photobooks highlight both. Second, as photographs themselves developed a market and were embraced as art, it enabled this next step. Then, too, there is the rarity factor. Typically, first press runs of photobooks are far smaller than for fiction and non-fiction books. From a collectible, though not aesthetic perspective, is it first printings of the first editions we’re usually talking about here, although some reissues climb in value, too. Indeed, the shift in how these books are perceived has engendered its own meta-art form of lavishly produced books about photobooks as art objects. 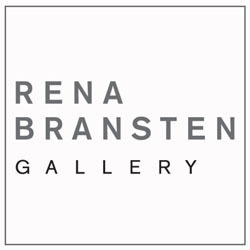 New York City gallerist, and writer Andrew Roth launched the phenomena with the 2001 publication of the coffee table-sized The Book of 101 Books, Seminal Photographic Books of the Twentieth Century. It features 100-odd years of photobooks, mostly American, from Volume 1 of Edwin S. Curtis’s multi-volume project” The North American Indian,” published in 1907, to Walker Evans’ 1938 landmark “American Photographs” and on through the likes of photojournalist Susan Meiselas’s “Carnival Strippers.” Each entry features a short, one-page essay and a few high quality reproductions of several pages from each book. 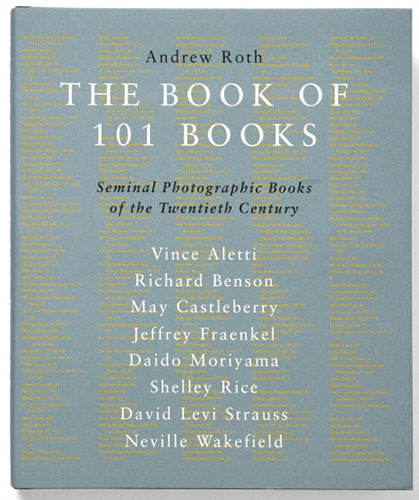 To offer a rounded perspective, Roth solicited essays from a half dozen diverse and authoritative voices, among them the New Yorker critic Vince Aletti, the photographer Daido Moriyama and San Francisco photo dealer Jeffrey Fraenkel, whose gallery matured along with the photography and photobook market and has itself published a series of memorable books over the years. 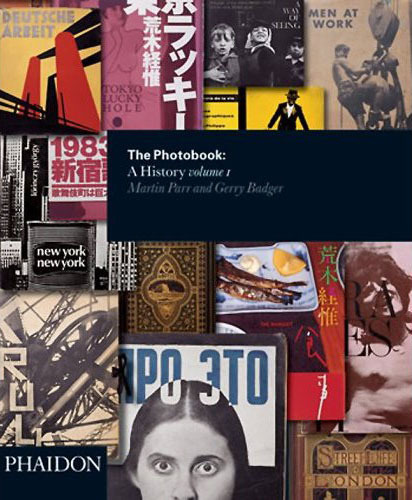 "The Photobook: a History Volume 1"
Inevitably, Roth’s presumption prompted a rebuttal and British photographer Martin Parr and curator Gerry Badger, in 2004, published the more eclectic and international The Photobook: A History volume 1, following with a second volume two years later. Now there are rumors of a third. 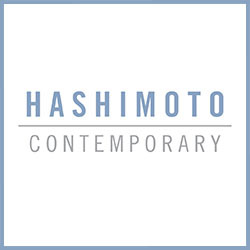 Since then, the phenomenon also has prompted a number of country-specific efforts, most notably, Japanese Photobooks of the 1960s and 1970s. There always have been some who have taken books of photographs as more than derivative, and the Japanese of that period are foremost among them. Another response has been to issue new, annotated facsimile editions of earlier books whose rarity and expense has made them inaccessible. The large German publisher Steidl did this in 2009 with New Topographics, which recapitulated the catalogue and 1975 exhibition New Topographics: Photographs of the Man-Altered Landscape. 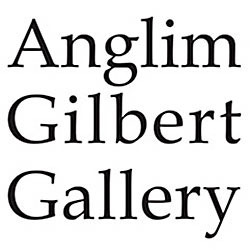 The exhibit (and book) captured the shift from a romantic and heroic vision of the American landscapes of Ansel Adams and his ilk to one decidedly more compromised by the presence of man. As should be clear by now, most of the thousands of books of photographic reproductions published between covers around the world each year hardly fit the category of “art objects.” And while technological advances in ink reproduction have narrowed the gap, the skills required to make something really special — photographic vision, sequencing and design — are as elusive as ever. The difference now is that the barriers to entry, thanks again to technology, have fallen precipitously so that more artists than ever can try. 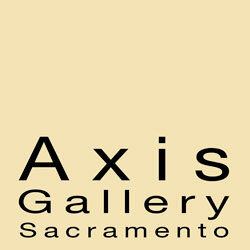 Darius Himes, assistant director of the Fraenkel Gallery in San Francisco and in charge of the gallery’s book publishing efforts, has, with Mary Virginia Swanson, introduced Publish Your Own Photography Book, now entering its second printing, a valuable how-to that offers context and explicates the nuts and bolts. 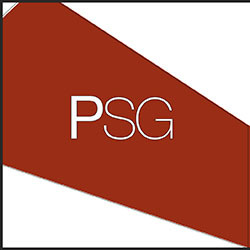 While the rest of the publishing industry seems to be contracting and enduring the endless buffeting of digital technology, small publishers of photography books seem to be popping up everywhere, like flowers after a spring rain. “It’s really tough to give estimates,” Himes said in an email when asked how the number of publishers has grown. “It’s like asking, how many (record) albums are produced each year by everyone including all of the independent labels. It’s in the hundreds, if not thousands, world-wide” annually. It’s an embarrassment of riches that makes any attempt to review “the best” new photobooks a necessarily arbitrary process. Rather than try, I’ll offer here a range of photobooks that have caught my attention over the past year or so and try to explain why. Christian Patterson, Redheaded Peckerwood, Mack Books, 2011, $125. Our eponymous peckerwood in this case is Charlie Starkweather, a Nebraska teenager who, along with his 14-year-old girlfriend, Caril Ann Fugate, went on a three- day crime spree in January of 1958 and murdered 11 people in two states. The story was tabloid fodder for months. Patterson uses the case as the departure point for a conceptual art project that bridges fact and fiction, including found photographs, photographs of the crime scenes after the fact, hand written notes by Starkweather, maps, confession letters and other documents. The book deftly explores the ambiguous nature of photographic representation and combines photos of the scenes of the crimes with commercial imagery of the era; it even has reproductions of ephemera inserted in the book. It’s as if someone went down to the evidence room and set a box in front of you, the only difference being that fact and fiction mingle. It’s a tour de force of photobook making. In fact, you want to buy it, the first edition already has shot up to nearly $400 and a second edition has been issued. Lee Friedlander, Mannequin, Fraenkel Gallery, 49.95. Friedlander takes pictures the way a jazz musician improvises: he follows the muse to the edge of chaos and pulls back before it’s too late. 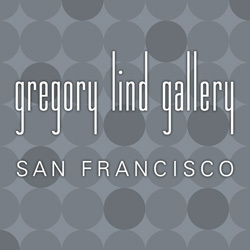 His images over a five-decade career plumb the ability of photography to mingle disparate imagery and pull out meaning. In this, he respects and uses the fundamental nature of the medium in a way that few others have dared. Coming off a 2009 career retrospective at the Museum of Modern Art, the 77-year-old Friedlander has published two more books, this being the most recent. In it, he returns to his first love, the 35mm camera, and stalks mostly New York City, juxtaposing store window mannequins with reflected urban architecture. The result is a complex, collage-like pas de deux that rewards close study. 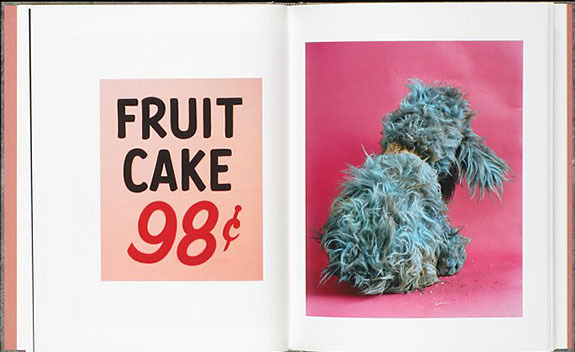 Friedlander’s early books all are sought-after as art objects. 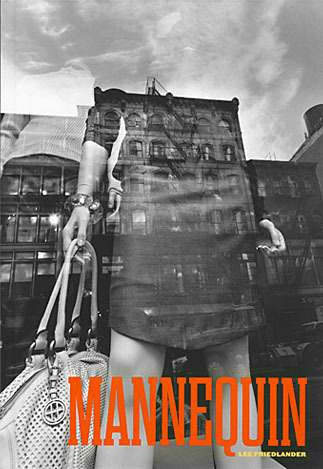 Mannequin’s lack of range may not put it in that company, but its rewards are undeniable. 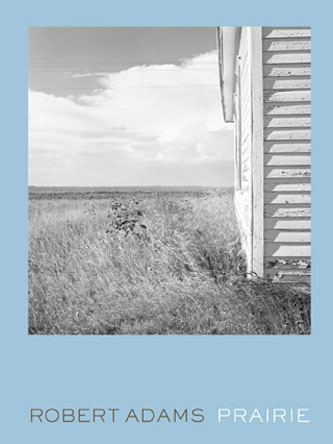 Robert Adams, Prairie, the Denver Art Museum and the Fraenkel Gallery, $35. In 1978, a young photographer near the start of his career published this slim volume of windswept vistas. They were a preamble to a career that has explored the ways in which man has tampered with the landscape – usually for the worse. Those images led to Adams’s inclusion, three years earlier, in the aforementioned New Topographics exhibition. Adams’ career has inventively explored variations of the relationship between man and landscape ever since. The original Prairie now sells for several hundred dollars, but you can own the reprint for a fraction of that. Paul Schiek "Dead Men Don’t Look Like Me"
Paul Schiek, Dead Men Don’t Look Like Me, TBW Books, $30. If there is one book on this list that epitomizes the just-do-it spirit of the contemporary world of the photobook, it’s Paul Schiek’s Dead Men Don’t Look Like Me. A virtual one-man operation based in Oakland, Schiek produces four small books a year in small numbers and gives the photographer complete creative control. Typically, he prints 750 copies with an additional 50 signed and sells them as a package. He also does individual projects of which Dead Men is one. 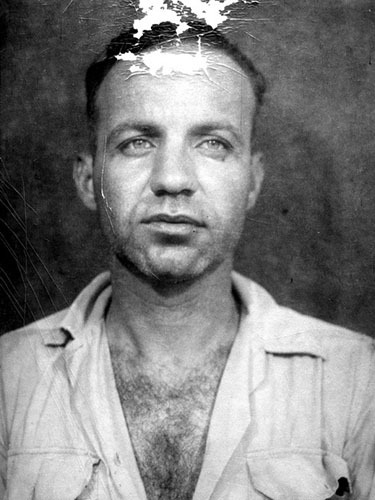 The book started with the discovery of 1950s-era mug shots that Schiek’s artist friend Mike Brodie found in an abandoned Georgia prison. Schiek re-photographed 20 of them as duotones for the book, and drafted New York art critic Vince Aletti to write an essay. 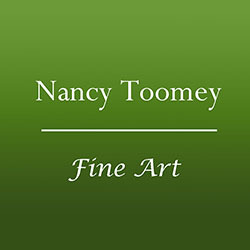 At the Stephen Wirtz Gallery in San Francisco this past spring, the enormous enlargements of the prints were harrowing, and even in this reduced size, a generous sense of the menace remains. Schiek has recruited some great contemporary photographers like Todd Hido and Katy Grannan to work with him in the past and is a publisher to watch. Chris Verene, Family, Twin Palms Publishers, $65. It’s hard to believe, but Twin Palms, one of the first of a new generation of high-quality, low-print-run photobooks, has been around for 32 years. There for the very start of burgeoning interest in the photobook, it continues to publish some of the best-designed, best- printed photogravure (and other process) books available. In that tradition is Family, which appeared in 2010 and is still available. 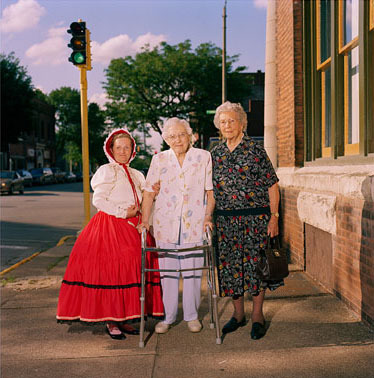 The book is nothing more than Verene returning to his rural home town of Galesburg, Illinois, and making lovely color-saturated photographs of his extended family and neighbors living the reality of small-town, working-class America. Verene’s deep affection is evident – he calls documenting these people his life’s work – but so is a clear-eyed appraisal that banishes sentimentality. Any disdainful irony that coastal dwellers might initially bring to viewing these images should be a cause for introspection on their part. It’s a fresh, occasionally funny, heartfelt achievement. Deborah Luster, Tooth for an Eye: A Chorography of Violence in Orleans Parish, Twin Palms, $75. There perhaps is no place more talismanic than the scene of a murder. The body may have been removed a 100 years before, the blood long washed away and the police moved on to other calls, but it’s hard to avoid a shiver when told someone died on that spot. An unlikely project, photographing what is no longer there, but photographer Deborah Luster does exactly that – and saves the shiver — in this collection of murder-scene photos taken long after the fact. Luster tells us in an afterword that the homicide rate of the city is eight times (!) the national average, and that its title as the homicide capital of the nation dates back, intermittently, to the 1850s. Big Easy? Not quite. 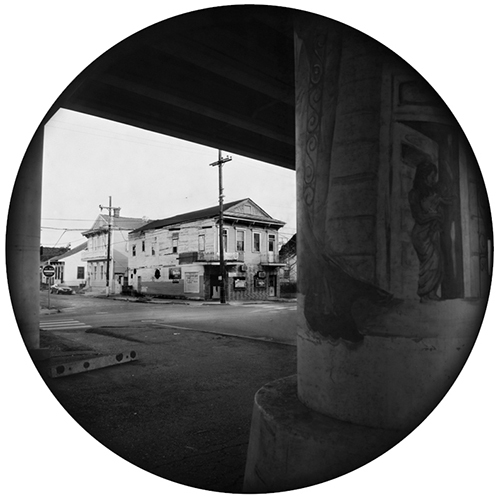 She uses an 8 x 10 Deardorff view camera with an oversized lens, rendering a round, highly detailed print that harkens back to 19th century photographs. The varied locations – a residential alleyway, a commercial street corner, the courtyard of a garden apartment – testify to how common murder is in the city. The pictures add up to a plea more eloquent than a thousand words or images of the crime itself. 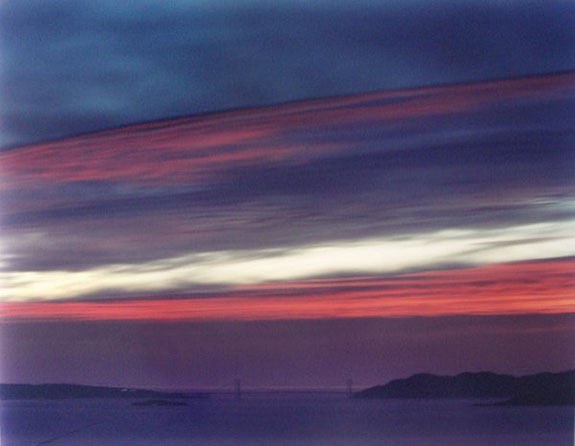 Richard Misrach, Golden Gate, Aperture, $150. In the late 1990s, Misrach and his family moved high in the Berkeley Hills to a home whose porch had a view of San Francisco Bay and the Golden Gate Bridge. He soon embarked on project so potentially prosaic that a rank amateur might well have dismissed it out of hand. Without ever moving his large view camera and tripod, he began a series of photographs of the bridge. In most hands, it would have been a study in repetition and sentimentality. In Miscrach’s, it became a revelation. If you want proof of the Zen assertion that the world around us is ever coming into being, look no further. The images Misrach selected are more than variations. Each is utterly different from the next to a degree I might have thought impossible. In 2001, Arena Editions packaged 80-odd images from the project in a standard-sized, tabletop book. Now, to commemorate the 75th anniversary of the construction of the bridge, Aperture has re-published 40 of those images in a mammoth, 16" x 20" edition, and the larger scale makes them a fresh revelation. Transient changes in light, wind and shadows are easier to study than ever. It’s hard to think of a more rewarding memento of the anniversary. Jack Fischer is the former art critic for the San Jose Mercury News. 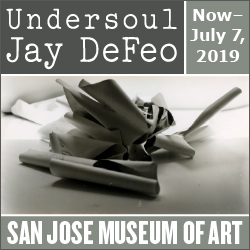 Over a 30-year career writing for major metropolitan newspapers across the country he has won awards for his investigative, feature and arts writing, and was part of the staff that won the Pulitzer Prize at the Mercury News for its coverage of the 1989 Loma Prieta Earthquake. He lives in San Jose.